Spiritual means different things to different people. I, for one, would not say I am a spiritual person in the conventional meaning of the word. Yet jazz fans regardless of faith recognize the spiritual nature of John Coltrane's voice on saxophone. 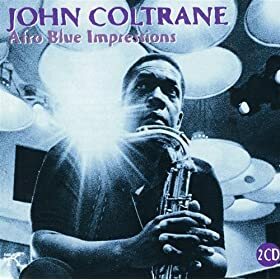 Trane's spirituality had a major influence on modern jazz music that I tried to represent on this weeks Christmas day podcast. The show begins with some standard holiday fare from Greg Abate as he swings through The Christmas Song and Greensleeves. We follow with what I feel is the highlight of the podcast, Trane's Spiritual. Branford puts on his best Trane covering Resolution from A Love Supreme. Pharaoh rocks the house carrying on the tradition of Coltrane and then we settle down with tunes from early Chick Corea and finish up with a spiritual ballad, This Little Light of Mine, from Noah Baerman. Though I had no preconceived theme for this show, as I listen now, it has a certain warmth to all the selections that hopefully will bring some comfort to the cold winter nights ahead. 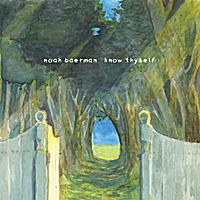 Listen to the horn arrangements and the vibe from the vibraphones on Noah Bearman's Know Thyself (listen to the entire suite here). Noah Preminger's warm breathy tone on his tenor on his fine new release Before the Rain. Rez Abbasi, Rudresh, and Brian Blade all have that deep warming effect on our soul in their own unique ways. Veejay Iyer's rendition of Somewhere will warm your heart as it did mine. Keep warm, my friends, with these fine jazz tunes. This isn't a particularly funky podcast, but we do start off this show with a Nickle Bag from Digable Planets. We continue from there in a fusion vain with a new CD's from Janek Gwizdala with some hot guitar work from Mike Stern. 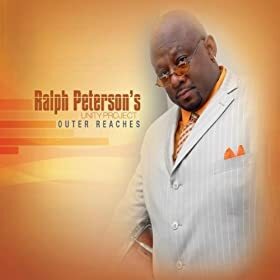 Ralph Peterson is up next with a great new release with his Unity Project. 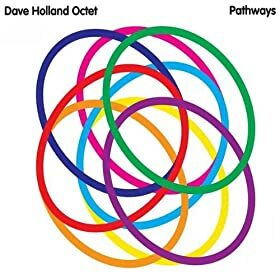 We'll hear two from that one including contributions from Hartford's own Josh Evans (trumpet) and Jovan Alexander (sax) as well as fine Hammond B3 playing by Pat Bianchi. Of course, the great drumming of Ralph Peterson Jr. lays down a foundation for some smokin' tunes. Later in the show we highlight other great Connecticut jazz heroes with the Curtis Brothers, Craig Hartly, and Noah Baerman. Also in this podcast are samplings from new CD's by Rudresh Mahanthappa, Ralph Peterson Jr., Albert Rivera, JD Allen and much more. East Boogie (Kolby's Theme) ~ JD Allen ~ Shine!